With Apple having increased the base storage for the iPhone 8 and incorporating a variety of changes, research firm IHS Markit via Bloomberg reports that the components costs for the 4.7-inch phone mounts to $247.51, making it slightly higher than the $237.94 cost for the 32GB version of the iPhone 7 from last year. However, you will note that the base model of the iPhone 8 now costs $699, up $50 from the price of the iPhone 7. The report claims that the iPhone 8 bill of materials equals about 35 percent of the sales price, which is around the same as last year, suggesting that Apple might not necessarily be charging you more for the phone; it is the overall components’ pricing has forced the tech giant to charge a higher price in order to maintain the same profit margin. Keep in mind that these costs exclude other variables ranging from manufacturing, software, and R&D. 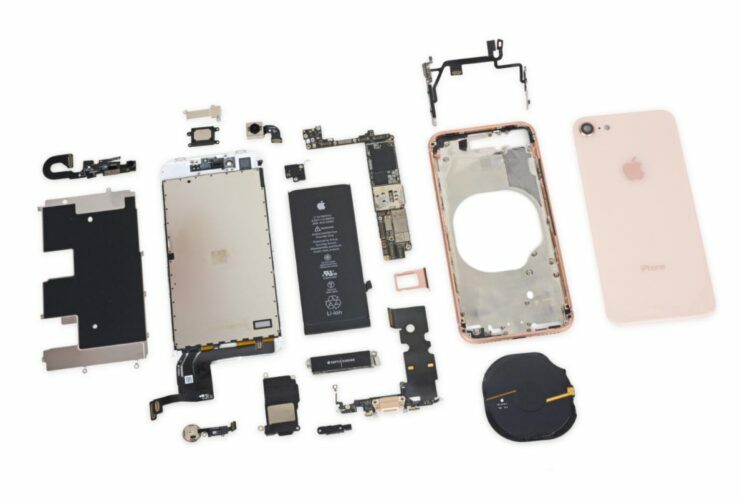 Wayne Lam, an analyst at IHS provides his own insights on the matter relating to the iPhone 8 components costs. With the iPhone 8 Plus, you are looking at a very similar story. Its components cost $288.08, including a new camera system that sets Apple back by $32.50, with the aforementioned value up from $270.88 in the iPhone 7 Plus. The new 5.5-inch iPhone costs $799, suggesting once more that Apple has to price it higher to maintain the same profit margin. Are you excited to hear about the iPhone X components costs when it is officially launched? Tell us your thoughts down in the comments.